In honor of Yom HaShoah (Holocaust Remembrance Day) on April 11, a roundup of Holocaust-themed books. 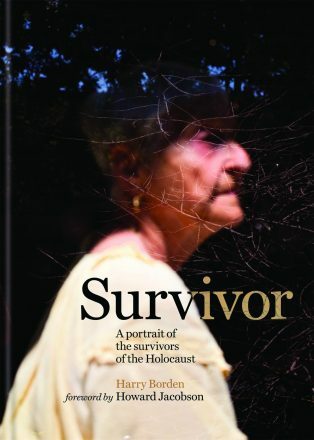 In a remarkably moving and thought-provoking portrait of the Holocaust, Survivor: A Portrait of the Survivors of the Holocaust (Cassell Illustrated) captures the experience of surviving one of the darkest moments in human history. 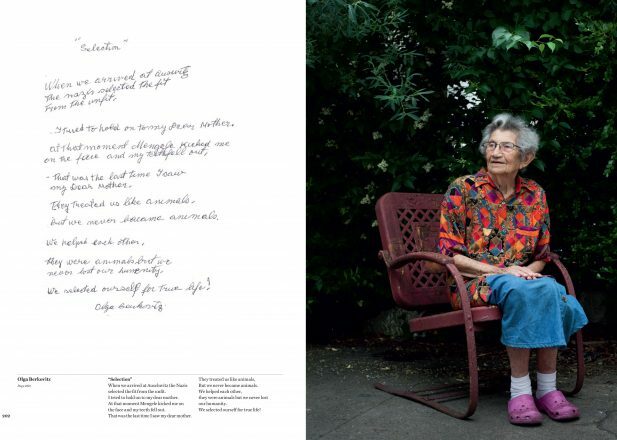 Over the course of five years, the celebrated London-based portrait photographer Harry Borden (Elton John, Paul McCartney and Margaret Thatcher are among his subjects) traveled the world photographing survivors; the book brings together more than 200 powerful portraits — accompanied by handwritten notes by each survivor, which attest to the incredible resilience of the human spirit. At the end of the book, a section provides additional information on each subject, detailing how and what they survived. 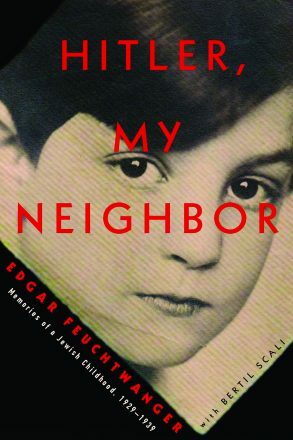 The first five years of Edgar Feuchtwanger’s life were spent playing with toys and listening to his mother master new classics on the piano in his Jewish family’s home in Munich — until a new neighbor with a little black mustache moved in across the street. Written by historian Feuchtwanger (with Bertil Scali) at the age of 88, Hitler, My Neighbor: Memories of a Jewish Childhood, 1929-1939 (Other Press) chronicles 10 years of the author’s life as he watches Hitler from inside the windows of his home as the world around him crumbles. Growing up in Holland, Bart van Es always knew that his grandparents sheltered Jewish children during the war, but didn’t know any details. As an adult in England, he began an investigation into one girl, Lien, who had been hidden the same time as Anne Frank but, as van Es discovered, had survived the war. 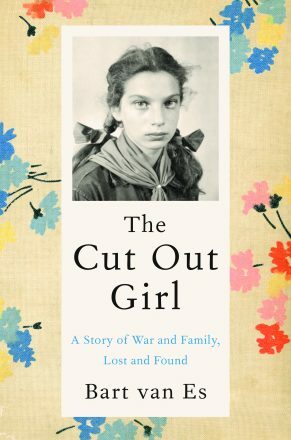 In The Cut Out Girl: A Story of War and Family, Lost and Found (Penguin; due out Aug. 2018), van Es tells a story of survival, decency and love. For more than 400 years, the East European border town of Buczacz, today part of Ukraine, was home to Poles, Ukrainians and Jews, all living side by side in relative harmony. With the arrival of World War II, within a few years, the entire Jewish population had been murdered by German and Ukrainian police, while Ukrainian nationalists eradicated Polish residents. 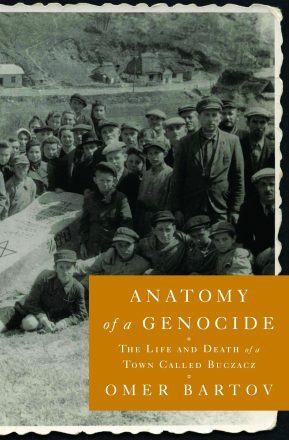 In Anatomy of a Genocide: The Life and Death of a Town Called Buczacz (Simon & Schuster), author Omer Bartov (whose mother was raised in Buczacz) shows how genocide can take root at the local level — turning neighbors, friends, even family members, against each other. 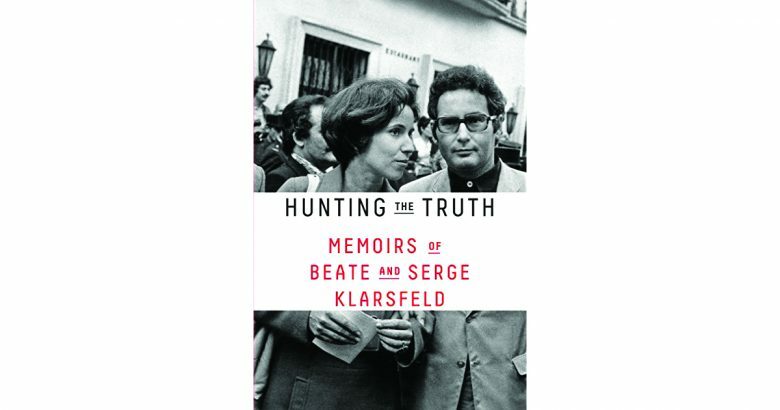 Hunting the Truth: Memoirs of Beate and Serge Klarsfeld (Farrar, Straus and Giroux) is a dual memoir recounting how the Klarsfelds’ childhoods — hers as a non-Jew in Nazi Germany, his as a Jewish refugee in Vichy, France — led them to be partners in love and as renowned Nazi hunters. French activists and journalists, the Klarsfelds followed their consciences to bring Nazis to justice when murderers often resumed free lives following the Nuremburg trials. Among the most prominent of their conquests was Klaus Barbie, the “Butcher of Lyon,” who was finally extradited from South America to face trial. “My dear, good child! I haven’t had any news from you in a long time. Are you in good health?” Seemingly everyday items of letters and postcards — like the one containing these warm and loving lines — now represent more than just a message. 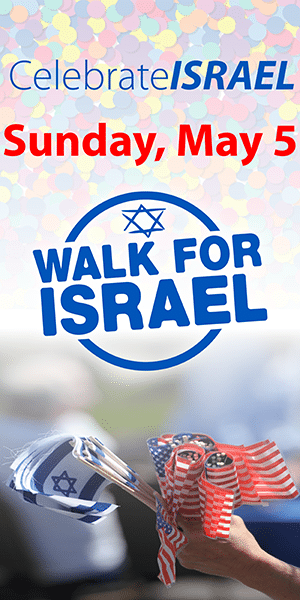 They represent lives, hopes and history, as they were written during the darkest days of the Holocaust under tyrannical censorship. 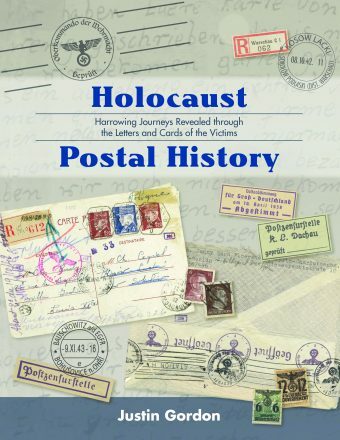 In Holocaust Postal History: Harrowing Journeys Revealed through the Letters and Cards of the Victims (Six Point Watermark), postal historian Justin Gordon takes readers through the darkness of the Holocaust using actual correspondence written by the victims. On the eve of Passover 1943, Jews in the Warsaw Ghetto staged a now-legendary revolt against their Nazi oppressors. 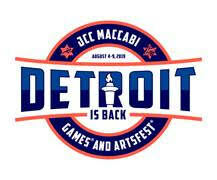 In The Warsaw Ghetto in American Art and Culture (Penn State Univ. 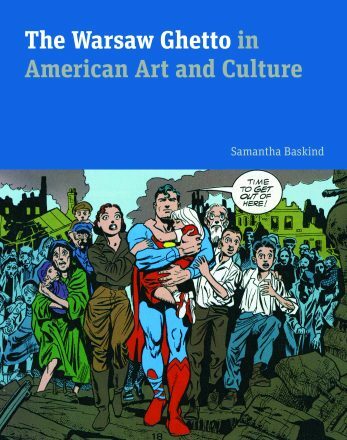 Press), author Samantha Baskind explores how the despair of life in the ghetto and the dramatic uprising of its inhabitants have captured the American cultural imagination. 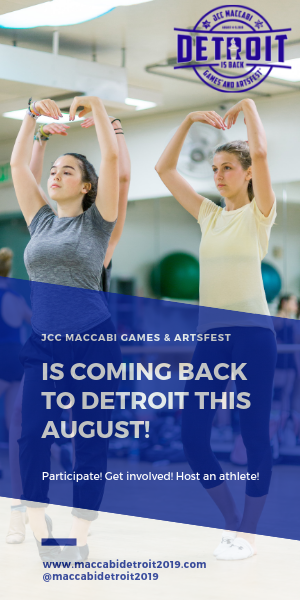 Seventy years’ worth of fine art, film, television, radio, theater, comics and more have artistically represented the ghetto and revolt, serving as a staging ground for the forging of the Jewish American identity. Friedrich Kellner, a mid-level official in a provincial German town, risked his life to record Germany’s path to dictatorship and genocide and to protest his countrymen’s complicity in the regime’s brutalities. 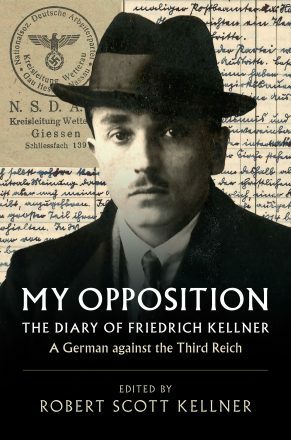 My Opposition: The Diary of Friedrich Kellner (Cambridge University Press), edited by Robert Scott Kellner (Friedrich’s grandson), tells what it is like to be an isolated democrat in a highly popular dictatorship. 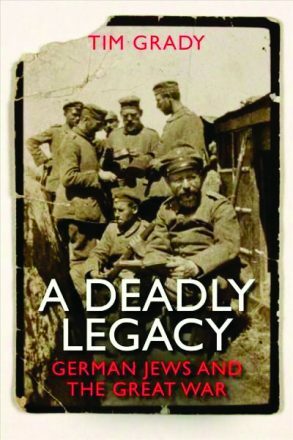 In A Deadly Legacy: German Jews and the Great War (Yale), historian Tim Grady examines the First World War — when the roots of Nazism were planted — as a disastrous turning point for Germany’s Jews. Illuminating the efforts of some 100,000 Jewish soldiers who served in the German military as well as various activities that Jewish communities supported at home, such as raising funds for the war effort, Grady traces a path from the trenches of the First World War to the death camps of the Second. Growing up in the safety of Britain, Jonathan Wittenberg was deeply aware of his legacy as the child of refugees from Nazi Germany. After the death of a family member, he discovers an old suitcase among her belongings containing a bundle of wartime letters, untouched for decades. 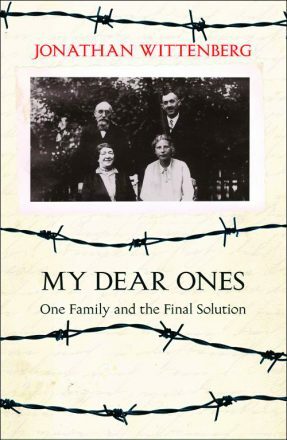 My Dear Ones: One Family and the Final Solution (William Collins; due April 2018) tells the story of author Wittenberg’s quest to uncover the painful details of his family history. Leon Werth (1878-1955) was the celebrated French author of 11 novels, of art and dance criticism, acerbic political reporting and memorable personal essays. 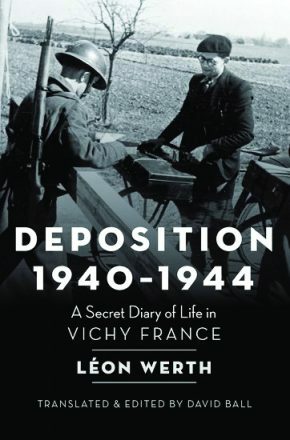 In Deposition 1940-1944: A Secret Diary of Life in Vichy, France (Oxford Univ. Press; due April 2018) — widely hailed in France and now published in English for the first time — Werth gives a very readable account of daily life in the Nazi-occupied village of Vichy, where he was hiding.